Volumetric Technologies Piston Fillers / Depositors all start with our innovative product pathway that allows Volumetric Technologies Horizontal and Incline Series Machines to fill and deposit your products at higher speeds, delivering the highest product fill accuracy, with the lowest level of product degradation in the industry. Our fillers are constructed using 316L stainless steel and top quality USDA / FDA approved materials. All piston fillers models from the 1590 thru the large 3045 incline series are offered in single or multiple head designs. 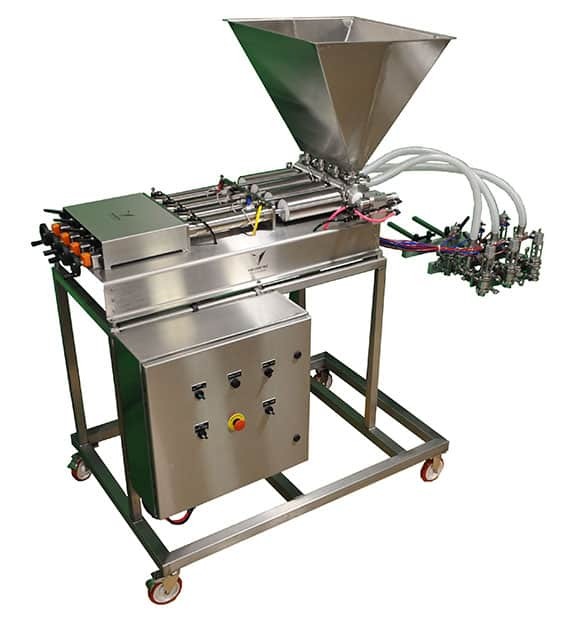 Piston Filler / Piston Depositors can be used in conjunction with many automated lines to increase production and improve product portion control.